The Board of Camden County Freeholders’ weekend of festivities, featuring more than 100 exhibitors and vendors, will return to Lakeland Road. This year’s Camden County Fair, taking place Sept. 23 and 24, will be wedged between gardens — both beer and botanical. For the first time since 2014, the annual event is returning to the county’s sustainability campus on Lakeland Road, after spending the last few years at the grounds of Camden Community College. Aside from creating a more intimate space, the Lakeland location will add an environmental dimension to the fair, as the event will be open to tours of the greenhouses, which nurture more than 15,000 plants for the community, and the Tool Lending Library, in which residents can “recycle, repurpose and reuse” garden supplies. The return to Lakeland unfolds in congruence with the revival of the county’s ecological missions. “We’re starting to bring (the complex) back to life,” Young said. Striving for a more sustainable future, the fair will simultaneously step back into the county’s past. The primary feature this year is a recognition of the copious, yet seldom-known histories of Camden County. County Historical Alliance, the Gloucester Township Historical Society and the Lawnside Historical Society. Adorned in costumes appropriate of various periods, the groups will generate a visual landscape of Camden County history. This theme will resound in live entertainment, too, as a performance by Native American dancers and drummers will take place on Saturday, Sept. 23. The group will also have a tribal chief in attendance to answer questions about Native American customs and traditions. Although the fair is dabbling with fresh ideas, like every year, the freeholders’ objective is to shed light on locals. The vendors and exhibitors, which will exceed 100, are all businesses and organizations from the area. Artists, gardeners and craftspeople are encouraged to enter the fair’s 4-H Exhibit. The work will be on display the entire weekend, and submissions will be judged, as winners will earn a blue ribbon or Visa gift card. Ameteur bakers are also welcome to take a stab at the apple pie competition. Winning pies and bakers will receive ribbons, a Visa Gift card and overall clout throughout Camden County. 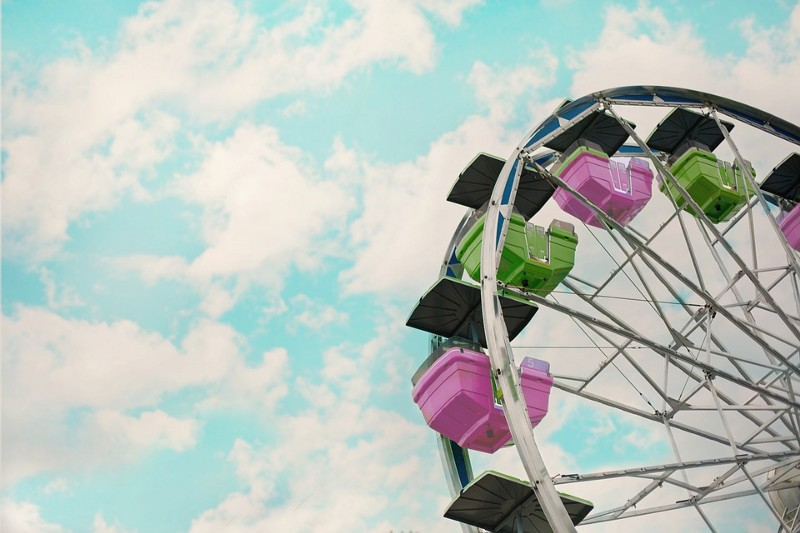 This medley of amusement will, of course, be peppered with conventional fair delights, such as rides, games, face painting, petting zoos, fire truck tours and a children’s corner with crafts and story hours performed by the local library.